Good for the body is the work of the body, and good for the soul is the work of the soul, and good for either is the work of the other. Click here to browse Adult Education Resources from our Online Resource Library! The Adult Education section includes resources for curriculum, education, Bible studies, personal devotion, literature and more! Below are some online resources from around the web; if you can't find what you are looking for or need personal assistance, please contact us today! Make sure to check out our seasonal pages if you can't find what you are looking for! The Mission of APCE is to: connect, enrich, empower, and sustain all persons serving in educational ministries in the Reformed family of churches. Author Rev. Karen Ware Jackson - Worship is more than songs and sermons, more than prayers and pews. Worship is how we become whole - that messy and miraculous moment when we are knit together into the Body of Christ. Living the Questions is a source of curriculum and media for both seekers and "church alumni/ae" convinced that Christianity still has relevance in the 21st Century. The Presbyterian Church (U.S.A.) has more than 1.7 million members in more than 10,000 congregations and worshiping communities answering Christ's call to mission and ministry throughout the United States and the world. Author Jenee Woodard - This site features a wide variety of resources for study and liturgy based on the 3-year Revised Common Lectionary cycle. This website has an abundance of adult curriculum for group studies available to purchase including downloadable resources. 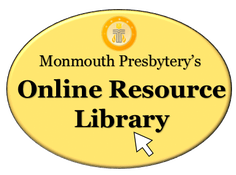 Online resources can include links to websites, articles, videos, blogs, pictures, social media, games, and more (some of these links may be direct downloads to resources The Genesis Center has permission to distribute. Please see our copyright page for more information). Resources available for check out can include curriculum, books, videos, DVDs, software and more, but they always have to be checked out by The Genesis Center and returned after use.